The Dr. 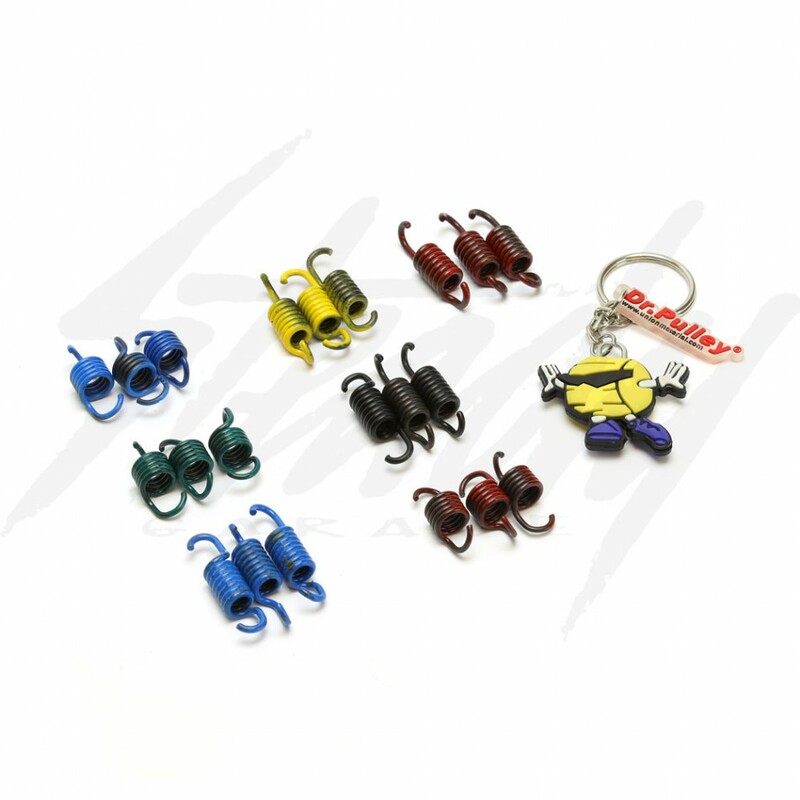 Pulley clutch and bell set is designed to be tuned to your vehicle and comes with at least six sets of springs - three clutch arm spring sets, and three pillow spring sets. 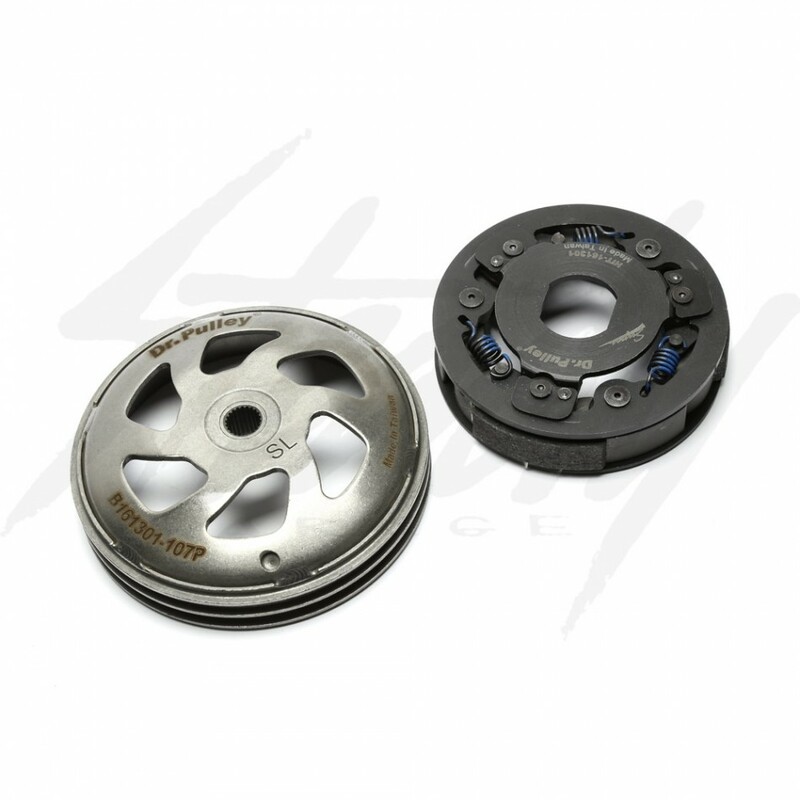 The HiT clutch has a secondary mechanism that engages when your CVT system reaches a certain RPM (tunable with the included three sets of "pillow" springs). 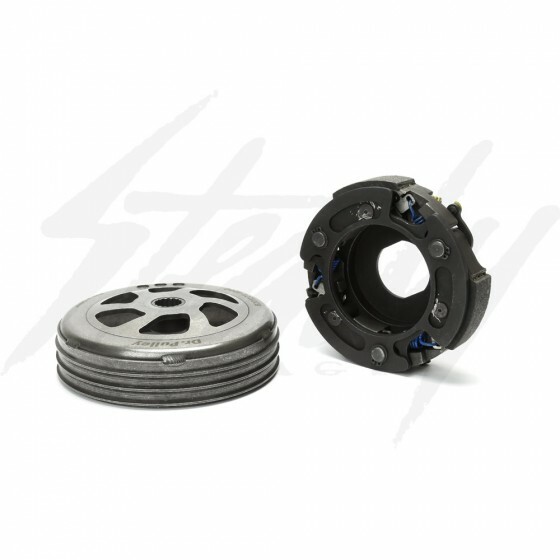 This secondary mechanism locks the clutch arms in place against the clutch bell preventing clutch slippage when under load! Dr. Pulley HiT Clutch 161301 with Bell for Scooters with 50cc/90cc/100cc Honda, Piaggio, PGO, Kymco, SYM or QMB139 engines and four-wheelers with 50cc/70cc/90cc/110cc Kymco, SYM, Honda, Piaggio or QMB139 engines. 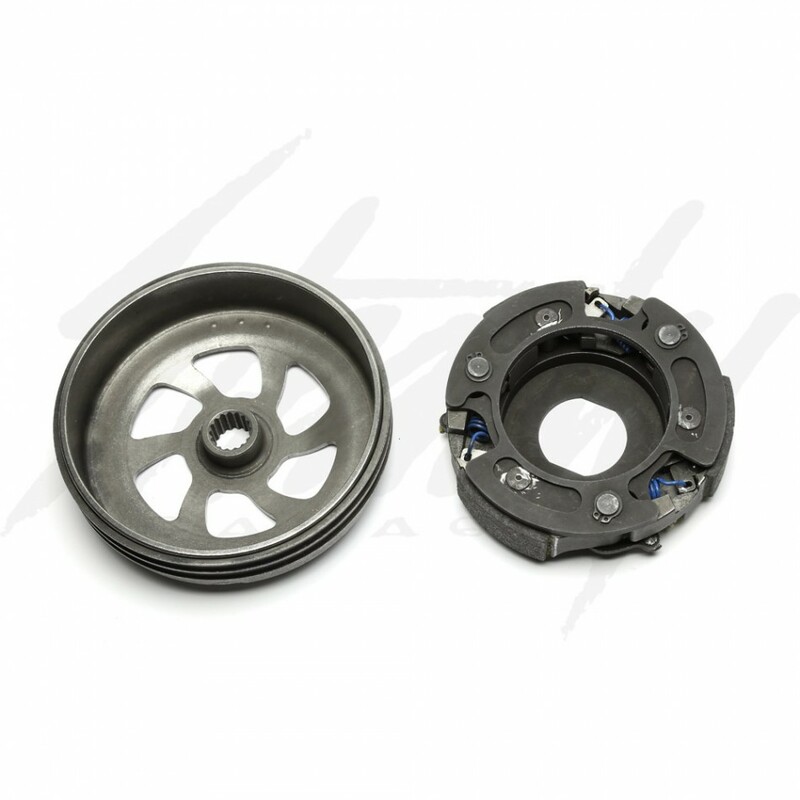 This clutch assembly is recommended for ATVs, Buggys and GoKarts or Scooters with modified cylinders This is the part number to use for the Honda Ruckus when they are doing the clutch conversion for faster clutch engagement. The Dr. Pulley HiT Clutch with 60 degree pillow springs is for use on scooters with a modified cylinder requiring the clutch to engage at a normal RPM. Results from using this clutch include decreased slippage and improved transmission efficiency. Most Dr. 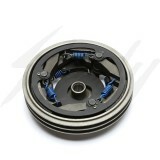 Pulley Clutch kits deliver up to 30% more power to the ground and faster response.